With Christmas nearing, bitcoin is celebrating a big anniversary this week, one that investors would rather forget. Dec. 16, 2017 was the day bitcoin prices hit $19,783, the cryptocurrency’s all-time highest price. Today, bitcoin is trading at $3,462, a roughly 83-percent decline. If 2017 goes down as the year of the bitcoin boom, 2018 will likely be remembered as the year of the bitcoin bust. A year ago, bitcoin price targets of $60,000 or even as high as $400,000 were being tossed around on Wall Street. Those targets and predictions have been dialed back throughout the year as the price of the cryptocurrency slumped lower and lower. The OTC-traded Bitcoin Investment Trust (OTC: GBTC) is down 51 percent in the past three months alone as the sell-off has accelerated. Many of the same problems that had frustrated bitcoin bears pounding the table a year ago amid all the hype are still issues today: lack of regulation, no SEC-approved crypto ETF and lack of security in the cryptocurrency market. 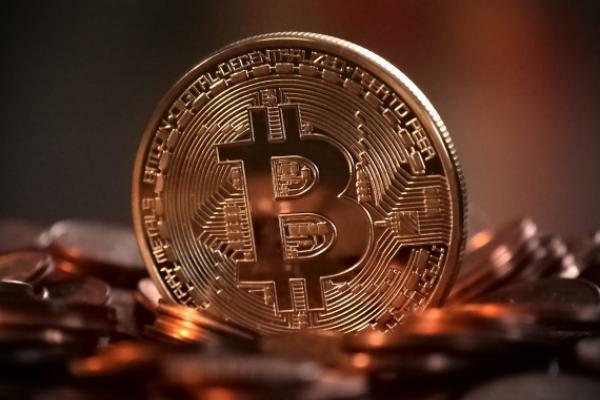 The cryptocurrency markets are notoriously volatile and unpredictable, but one of the few voices from December 2017 that was incredibly prophetic was that of Jim Angel, professor at Georgetown University School of Business. Angel was a guest on Benzinga’s PreMarket Prep on Dec. 19, 2017 and said a speculative bubble had formed in the bitcoin market. Angel’s “wither away” thesis has played out exactly as he predicted in 2018, with bitcoin and other crypto prices declining steadily throughout the year. Of course, Angel wasn’t the only one who saw the writing on the wall. Peter Schiff, CEO and chief global strategist at Euro Pacific Capital, was one of many critics who saw an obvious bubble in the crypto market. “This has got bubble written all over it, and I think it is the most irrational, it is the biggest bubble that I have ever seen,” Schiff said a year ago. While bitcoin bears are spend December 2018 talking about December 2017, many bitcoin bulls are instead taking the opportunity to talk about December 2016. A bitcoin price of $3,400 may represent 80 percent downside from bitcoin’s peak, but it is still nearly a 700 percent gain from the December 2016 price of around $430. The past two years have certainly been noisy for bitcoin investors, but very little has changed about the fundamental bitcoin story. To bitcoin bulls, the cryptocurrency remains the future of value transfer and a potential disruptor of major fiat currencies and financial institutions. To bitcoin bears, the cryptocurrency is still a dangerous, unregulated investment with no proven intrinsic value. There’s no telling what 2019 will hold for bitcoin and its investors, but if the past two years are any indication, it will be another wild ride.